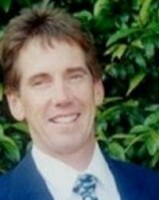 I am John Donaldson, I specialize in individual, tailor-made, personal & private tours of Brisbane and south-east Queensland. Come and see the real Brisbane where the locals live & play. Write your own itinerary or use our extensive local knowledge to give you an insight into the diversities of the Brisbane region. This amazing country is a dream destination for many people, and a trip you’ll never forget. Australia is famous for kangaroos and koala bears, spectacular surfing, Aboriginals, archeological sites and incredible scenery. Visitors are advised to consult with a local professional private guide in Australia to navigate this massive continent and all its wonderful attractions. Manmade wonders in Australia feature the Sydney Harbor Bridge, where tourists are dared to do the Bridge Climb, the Sydney Opera House and the Sydney Tower. Natural wonders of the Land Down Under include the largest sand island on the planet, Fraser Island. Visitors love seeing the incredible sand cliffs and the famous dingo population. The Great Barrier Reef is another natural wonder with over 1500 fish species including the Great White Shark. Your private guide Australia can take you to see the gorgeous Jamison Valley in the Blue Mountains where you can take the steepest train ride in the world. Or float above the valley in a glass-floored cable car and see the breathtaking Katoomba Falls and the Three Sisters rock formation. Another famous rock in Australia is Urulu, the largest monolith in the world and a sacred place for Aboroginals. HISTORY OF Australia: Aboriginal settlers arrived on the continent from Southeast Asia about 40,000 years before the first Europeans began exploration in the 17th century. No formal claims were made until 1770, when Capt. James COOK took possession in the name of Great Britain. Six colonies were created in the late 18th and 19th centuries; they federated and became the Commonwealth of Australia in 1901. The new country was able to take advantage of its natural resources in order to rapidly develop its agricultural and manufacturing industries and to make a major contribution to the British effort in World Wars I and II. Long-term concerns include pollution, particularly depletion of the ozone layer, and management and conservation of coastal areas, especially the Great Barrier Reef. A referendum to change Australia's status, from a commonwealth headed by the British monarch to a republic, was defeated in 1999. ECONOMY OVERVIEW OF Australia: Australia has an enviable Western-style capitalist economy, with a per capita GDP on par with the four dominant West European economies. Rising output in the domestic economy has been offsetting the global slump, and business and consumer confidence remains robust. Australia's emphasis on reforms, low inflation, and growing ties with China are other key factors behind the economy's strength. The impact of drought, weak foreign demand, and strong import demand pushed the trade deficit up to $14 billion in 2003 and to $11 billion in 2004 from $5 billion in 2002. One other concern is the domestic housing bubble.